Vincent Van Gogh had a troubled life. He reigns undisputed today as one of the greatest artists in the world, and his influence on both art and popular culture is enormous. But at the end of his life, Van Gogh remained an unknown and embittered artist, who often struggled to make two ends meet. His life was one of ultimate tragedy, with success and happiness eluding him professionally as well as in his personal relationships. His work, spanning over 2,000 artworks, never gained recognition while he was alive. Far from being the house-hold name he is today, Van Gogh lived out his youth and latter years unknown and secluded, until he died at the age of 37. 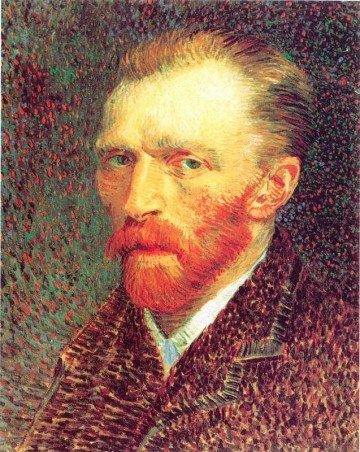 Although his relationship with his parents was increasingly strained due to his lack of employment prospects, Van Gogh remained on very good terms with his brother, Theo Van Gogh, an art dealer himself. The two exchanged hundreds of letters, and it is in these letters that Van Gogh’s thoughts on the theory and practice of painting, and on his emotional vexations, find place. Van Gogh is profoundly expressive in these letters, articulating his artistic struggle and his own strife for personal fulfillment. Always articulate, passionate, and painfully honest, Van Gogh is eloquent even in his melancholy. Sample these choicest extracts from Van Gogh’s correspondence. I have heaps of ideas for my work, and if I go on with figure painting very industriously, I may possibly find more. But what’s the use? Sometimes I feel too feeble to fight against existing circumstances, and I should have to be cleverer and richer and younger to win. Fortunately for me, I do not hanker after victory any more, and all that I seek in painting is a way to make life bearable. It may well seem to you that the sun is shining more brightly and that everything has taken on a new charm. That, at any rate, is the inevitable consequence of true love, I believe, and it is a wonderful thing. And I also believe that those who hold that no one thinks clearly when in love are wrong, for it is at just that time that one thinks very clearly indeed and is more energetic than one was before. And love is something eternal , it may change in aspect but not in essence. And there is the same difference between someone who is in love and what he was like before as there is between a lamp that is lit and one that is not. The lamp was there all the time and it was a good lamp, but now it is giving light as well and that is its true function. And one has more peace of mind about many things and so is more likely to do better work. There is someone who is an idler out of laziness and lack of character, owing to the baseness of his nature. If you like, you may take me for one of those. Then there is the other kind of idler, the idler despite himself, who is inwardly consumed by a great longing for action who does nothing because his hands are tied, because he is, so to speak, imprisoned somewhere, because he lacks what he needs to be productive, because disastrous circumstances have brought him forcibly to this end. Such a one does not always know what he can do, but he nevertheless instinctively feels, I am good for something! My existence is not without reason! I know that I could be a quite a different person! How can I be of use, how can I be of service? There is something inside me, but what can it be? He is quite another idler. If you like you may take me for one of those. The letters are available at the wonderfully maintained WebExibits archive. Alternatively, you can also find them in Touchstone’s beautifully printed collection.